Planning to travel to India? Don't know where to start? Forget all your fears and relax -- we are here to look after your every need, from chauffeur-driven limousine from the airport to your hotel, stays at the very best 5 star hotels, with food and entertainment to match! 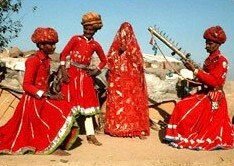 Want to see the REAL India and get away from the tourist trails? No problem -- we will design a tour specifically with your needs in mind, not ours! And that does not mean you will spending your money as if it was unlimited -- no, all our tours are arranged to benefit YOU as fully as possible, with the minimum of expenditure. 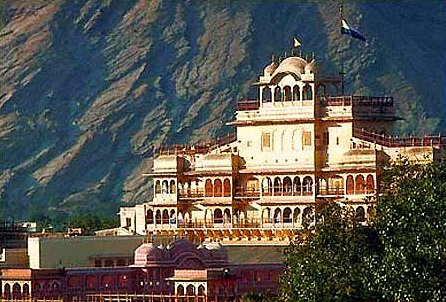 We have tours taking in the extremely romantic and historic palaces, where you will stay in exactly the same way as did the Maharajahs; there are tours that are based entirely in the deserts of Rajasthan, in unbridled luxury; we have tours that take you to mountainous areas, where you will be lucky to see any other tourists; we also have tours that are based on the world famous Maharajah Express train, the Palace on Wheels, again in the lap of luxury. All our tours are fully flexible -- you can come along just for the tour under your own steam, or we can provide all flights to and from India for you. Want to break off and go away on your own? No problem -- just tell us where & when you want to rejoin us and we arrange it all for you! Our first and foremost duty is to you, the customer! We know how difficult it is to arrange a tour and how money can be wasted if everything is not done exactly right. That's why before we arrange anything, we ALWAYS consult you to find out what you really want, before finalising the schedule. That way, you can be sure your hard-earned cash will be utilised as you would wish it. And what's more, we always make sure that our senior managers also travel with each tour, so that your proper care is 100% assured at all times! Book with us and you will always keep coming back for more !